Working to bring a successful Aquaponics industry to East Greensboro, Greensboro, the Piedmont Triad and North Carolina. "Gray's early years were carefree; he never was exposed to systematic labor, and he enjoyed good health and a strong body. After attending Caldwell Institute near Greensboro, he studied with the Reverend Jesse Rankin in Lexington. He then entered Davidson College as a sophomore in 1850 and was graduated in 1853." "In 1855, he became teller and bookkeeper of the Greensboro branch of the Bank of Cape Fear. The president of the bank was Jesse H. Lindsay, Gray's brother-in-law and a brother of Mrs. John Motley Morehead." "Because of Gray's strong support of Zebulon Vance for governor in the election of 1876, Vance appointed him a director of the North Carolina Railroad." " Because of this remarkable achievement and Gray's other activities, Greensboro regarded him as the keystone of its prosperity." That's right, Julius Gray and not the Cone Brothers. It was in-fact Gray who later managed those railroads his friend, Governor John Motley Morehead gets credit for bringing to Greensboro but it was John Motley Morehead who was the president of the NCRR establishing Greensboro's tradition of crony capitalism. Gray didn't stop with railroads. "In the 1880s Gray was also involved in ancillary business activities. In 1887, he helped to found the North Carolina Steel and Iron Company, which constructed blast furnaces in Greensboro in the hope of using native coal, iron ore, and limestone to make the city a steel center. The venture failed when the local iron ore proved to have too much titanium and was difficult to smelt." "Sir Henry Bessemer, an English engineer and inventor, who founded the process for turning ore into steel. This was later know as the "Bessemer Process". Funny, had the Cones not come here we might be in the titanium business today. It's also been reported that the Steel Mill graded 20 miles of streets before going out of business including Bessemer Avenue. 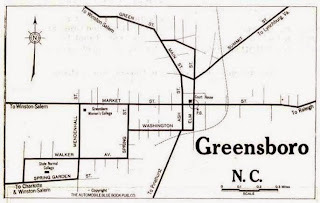 While some will argue that point, Bessemer Avenue was known to exist before both the Cones and the City of Greensboro came to our community. And Bob Clendenin is right that Bessemer was named for the inventor of the Bessemer Process as there are no references to anyone named Bessemer in Greensboro history. As the site of the steel mill was near where Bessemer Avenue intersects with Battleground Avenue, Bessemer originally extended in an arch that reached from Battleground Avenue east to about Penry Road (about 8 miles) and south to McConnell Road and included what we now call ORD, Woodmeer Park, Kings Forest, Aycock, the mill houses and almost everything east of Murrow Blvd. In the 1919 map of Greensboro below you'll note that Bessemer Avenue wasn't on the map despite the fact that Bessemer School first opened its doors in a one room schoolhouse on Bessemer Avenue in October of 1900. An abandoned Bessemer rock quarry from which the stone was mined to build Greensboro's well known historic neighborhoods like Fisher Park, Irving Park, Aycock Historic District, College Hill and others remained unfilled until just a few years ago on the corner of Phillips and Lombardy. I used to play in that rock quarry as a child despite my mother having forbidden me to go there. While most histories of Greensboro seem to be written in such a way as to make it appear there was nothing in the Bessemer Community prior to Greensboro. Even the News & Record seems not to acknowledge Bessemer in their list of Greensboro neighborhoods. But this photograph taken on Holts Chapel Road just about 300 feet south of East Market Street bears evidence that a community existed there long before most of Greensboro was ever built. Click on the photo to read the inscription or drive by as its still there. Why is it a concern that references to Bessemer seem to be getting lost? Well let me put it this way, in this 2008 City of Greensboro survey of historic Greensboro neighborhoods the historic Glenwood neighborhood was left out and never considered for historic designation. Today 100 year old fully restored homes in Glenwood are being bulldozed. Glenwood was once under consideration to become the capitol of North Carolina. 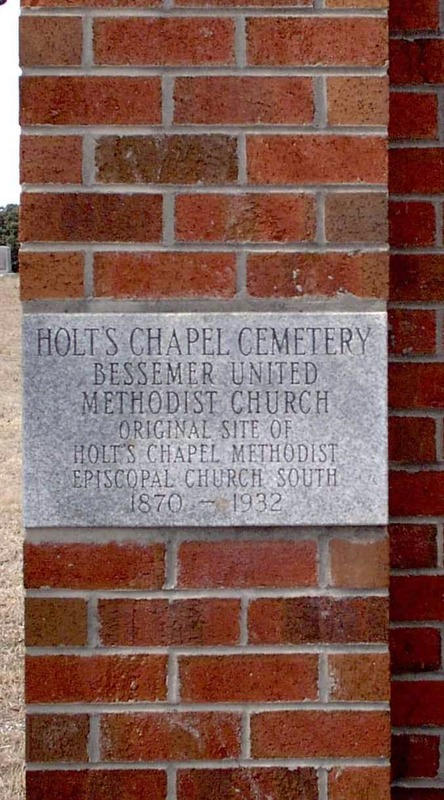 No properties in Bessemer have been given historic designation. In 1906 St. Leo’s Catholic Hospital opened in what was then Bessemer on the corner of Bessemer Avenue and Summit Ave. The first modern hospital in the area, St Leo's would become famous in 1914 when Charles and Will Mayo of the Mayo Clinic practiced surgery there. Greensboro would not annex the area until at least 1946 as evidenced by the fact that prior to 1946 the United States Army operated a military base there with properties that include the site chosen for Bessemer Aquaponics. 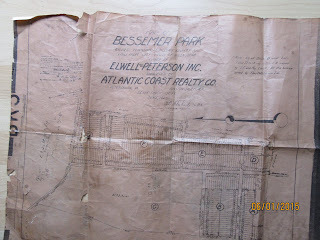 This blueprint from 1923 shows Bessemer Park just to the northeast of our chosen site with the County Home being shown in the top right corner. Rankin Avenue would eventually be renamed Hern Ave.
ORD (Overseas Replacement Depot) originally called AAF Basic Training Camp No. 10, opened on the southeast corner of Bessemer and Summit on March 1, 1943 and closed in 1946. The famous actor Charlton Heston was among the 9,000 men to be stationed there along with captured German POWs. "The Bessemer High School sports teams were known as the Whippets. Whippets are sleek but muscular hunting dogs prized for their speed, power and agility. Bessemer football players certainly lived up to the image. They were a powerhouse in 6-man football in the 1940’s, then continued the tradition after switching to an 11-player team in 1945. They were the North Carolina State Champions in 6-man football in 1941. In the 1950’s & 60’s, they made four trips to the State Finals game, but a second football State Championship eluded them. Still, being four time State Runners-Up is an accomplishment of which any school can be proud. The Bessemer baseball team gave the school a going away present in 1963. The Whippets won the State Championship by defeating Chapel Hill, 5-2." The Greensboro Yellow Pages from 1957 has 3 listings under Parks and Playgrounds. One of those listings is the Bessemer Community Center. Annexation was completed in 1958, the community center closed in the late 1960s and finally replaced a few years ago with Peeler Recreation Center on Sykes Avenue where the Bessemer Community had previously operated a baseball field. The Bessemer Community Center was owned jointly by Bessemer Methodist Church, Bessemer Baptist Church and Bessemer Presbyterian Church. Built, I think in the 1950s, the building still stands today at what is now the dead end of Easton Road. A block away from the community center the 31 man Bessemer Fire Department, one of the first in the state, was "listed as members of the North Carolina State Firemen's Association from 1945 through 1958." While the Lee Street Biff-Burger (now Beef Burger) was built in 1961, by 1958, before annexation was completed, the Biff-Burger on Bessemer Avenue, Tasty Freeze on East Market and McDonalds on Summit had all already been built giving east Greensboro 3 fast food restaurants before Greensboro got its first. Monroe's Drive In on Bessemer Ave was also built before annexation. 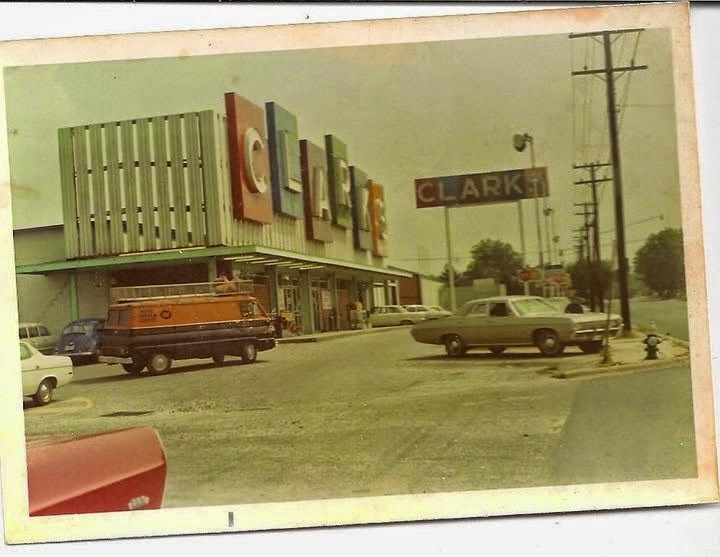 On September 11, 1958, Clarks opened the first big box retailer in the Piedmont Triad in an old tobacco warehouse just a few hundred yards east of where the Agricultural Extension Office is located today. As it was the only place with air conditioning in those days the parking lot would often be filled with more bicycles than cars on hot summer days as children from all over Bessemer went there to cool down. The old warehouse that became Clarks still stands today. "From the turn of the century to the late 1950s, the East Market Street Corridor flourished. It was the shopping and social center for many of Greensboro's African Americans, who owned businesses on the street and provided services to those shut out by segregation practices in other Greensboro neighborhoods. This lively community began to wind down in the late 1950s and 1960s when, under the guise of "urban renewal," thousands of people and more than 80 businesses (many minority-owned) were displaced. Most of those businesses never reestablished." 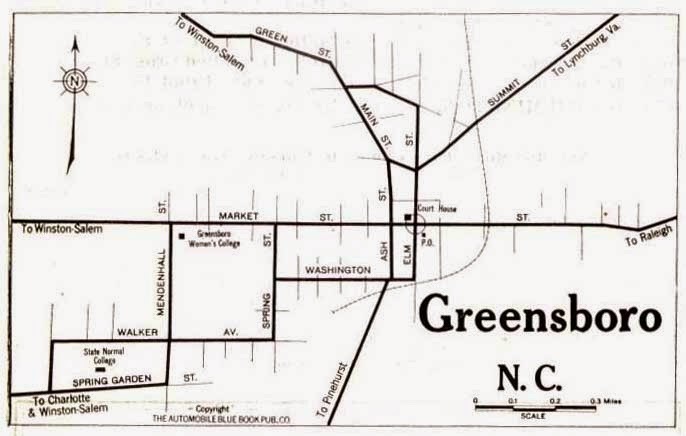 As you can plainly see, Greensboro's greatest families, the Cones, Richardsons, Dillards and Benjamins, for which streets, parks, buildings and hospitals are named, all did their part to destroy the Bessemer Community. And as evidenced in Bessemer Improvement Company vs the City of Greensboro, even the City took advantage of those who were working on behalf of Bessemer then passed the blame off on the state. 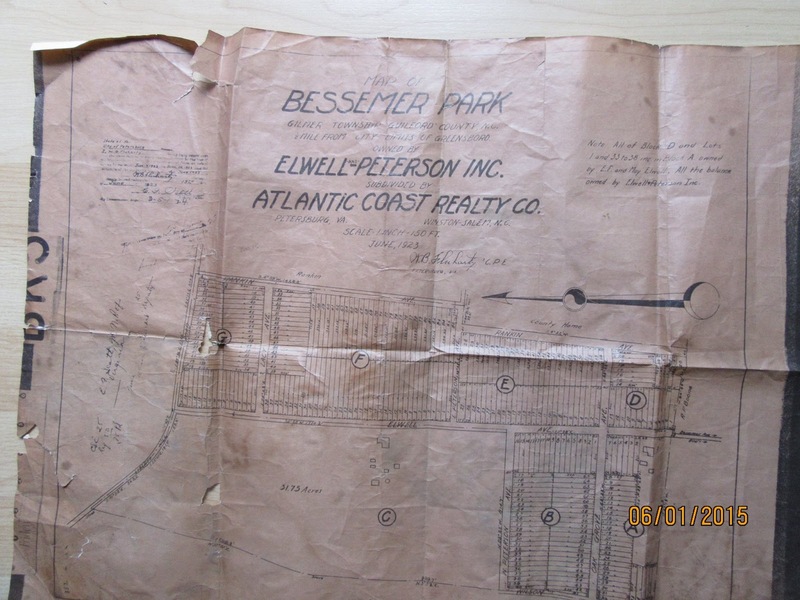 The site we have chosen for Bessemer Aquaponics has quite a bit of history of its own. In the mid 1800s and early 1900s, Guilford County operated a retirement home there for people without means. On old maps and blueprints the property is referred to as County Home. A search of the Guilford County Register of Deeds indicates that the property we have chosen was bought by Guilford County in 1859 for $1140 and used as the County Home. References seem to indicate that someone else was already operating a "poor house" on said property. In the 1940s the site was used by the United States Army as the recreation hall for the Overseas Replacement Depot-- the military base that was located in Bessemer during World War 2. As Greensboro's white USO club was located on North Elm and the Black USO club at Market and Dudley Streets this may have been the site of an officers club. Myself and many others remember the big white building that once stood behind the rock walls. In 1950 a bowling alley was built where the Agricultural Service stands today. That building remains. It would not be until 1958 that the City of Greensboro would annex these areas. In 1963, and 1964 the site was used as classrooms for Bessemer Jr High School's 7th and 8th grades. Also, in 1963 the Evergreens, North Carolina's largest non profit nursing home system opened their first facility on the site. 1963 was a busy and historic year for the site as demonstrating students from North Carolina Agricultural and Technological University were held in jail at what had been the Polio Hospital as well. A historic figure known today as the Reverend Jessie Jackson was one of those to be incarcerated there. In 1968 the Agricultural Extension offices and demonstration farms were built on roughly 10 of the 33 acres. The rest remained abandoned. The Polio Hospital was destroyed shortly thereafter and most of the property was forgotten about. We believe because of the history and heritage of this site that no better use than an institution that not only teaches men to fish but teaches them how to build their own ponds should be built there. So How Much Food Can We Grow?